Anyone who knows me, knows I HATE GETTING READY. I appreciate great hair and makeup, but man, do I loathe the process of getting “camera ready.” But for my job of hosting, interviewing, TV, and events, I need to be looking fly on the reg, and I can’t pay a makeup/hair artist each time. So I have my “Camera Ready Makeup Routine in 10 Steps and 10 Minutes.” I am DEFINITELY no makeup pro IN THE SLIGHTEST. I barely know anything about makeup honestly. But I know what makes me look great fast, and that’s enough for me! So, if you are like me, wanting great results in 10 minutes, then here ya go! STEP 6: Infallible Eye Shadow from CVS. I don’t know how to do eye shadow, like at all. So I don’t worry too much about it. I buy drugstore eye shadow and I put the light “888 Iced Latte” all over my eyelid and then “892 Amber Rush” on the bottom/lower corners of my eyelid. Blend together. 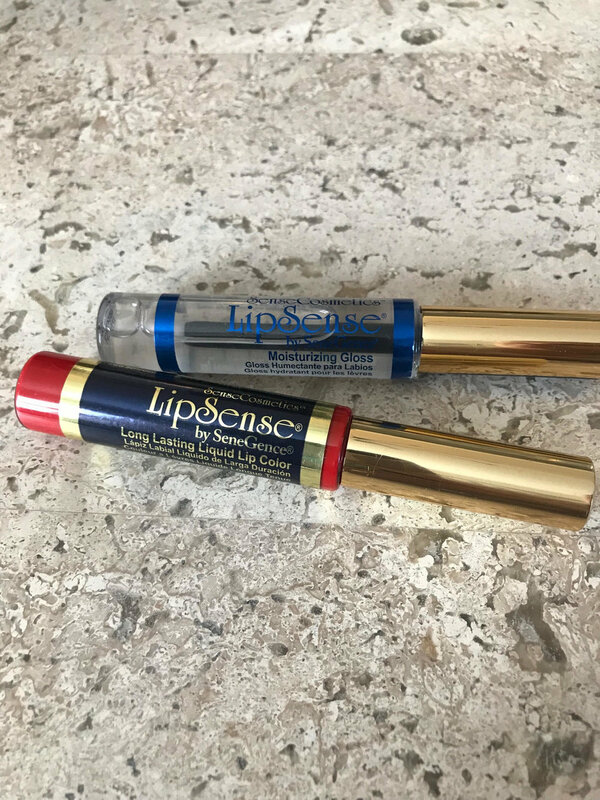 STEP 10: LIPSENSE LONG LASTING LIP COLOR. This takes a little effort to put on, and you have to order from a distributer, but it’s worth it if you need great color for a long period of time and don’t want to worry about having to reapply, smudging or getting lipstick on your teeth. Put the color on your lips, 3 coats. Try to move in one fluid stroke. Wait 45 seconds in between each coat of color. The put the clear gloss on top. Carry this gloss w you all day and keep reapplying as needed. I wear Cranberry, Blu-Red and Bella the most. THAT’S ALL IT IS FOLKS! I hope this was helpful, leave a comment if it was, and what else you want me to blog about!